The DANA Alliance For Brain Initiatives has established March 13-19 as Brain Awareness Week, a time when people can get together and raise awareness about the importance of neurological research, exploration, and brain health. Despite the many advancements of modern science that we nurses take advantage of every day, the brain is still a bit of mystery. Though we understand all of its component parts and its function, there’s still quite a bit to learn about how our most important organ functions. So the DANA Alliance For Brain Initiatives takes this week to help us explore the brain, what we know about it – and what we have left to learn. In order to help you keep a healthy brain and learn more about your brain during Brain Awareness Week, we’ve put together 5 quick tips to help you keep your brain happy, healthy, and reduce your long-term risk for cognitive decline, as well as diseases like Alzheimer’s and dementia. Read on, and learn with us. Physical activity has been shown as one of the most important ways that we can bolster our brain health. Intensive physical activity increases blood flow to our brains, and brain research indicates that the growth hormones released by the body during exercise could contribute to staving off Alzheimer’s, and lead to a healthier brain. We know that it’s hard to get the exercise you need as a nurse – but as little as 30 minutes of walking a day can help you decrease your risk of cognitive decline – and lead to a number of other health benefits such as reduced risks of stroke and heart disease. If you don’t have time for that, check out our previous article about 5-minute exercises that any nurse can do – you’re sure to find something you can integrate into your daily routine. Getting enough sleep is incredibly important for the health of our brain. Research suggests that sleep is when a variety of functions happen in the brain – including brain repair, storage and categorization of memories. If you’re sleep deprived, your brain function and your long-term health will both suffer. So try to get enough sleep. If you’re working night shifts, try taking naps when you can – you want to get at least 7 hours of sleep every day for maximum brain function and health. If you’re a nurse, you shouldn’t be smoking. We know it’s a way to cope with the stress of a difficult profession – but it’s horrible for your health, and associated with poor brain health outcomes. Smoke exposure has been measured to have harmful effects on cognitive outcomes in both young people and older adults, and may be a contributing factor to developing Alzheimer’s. You should also avoid drinking too much. High alcohol use has been correlated with a risk of dementia later in life, and severe brain damage is common in heavy drinkers due to poor health, or even liver failure. Limit yourself to two drinks a day, max, and your brain will thank you for it. High blood pressure can lead to strokes and brain damage – the high pressure of your blood can cause your brain’s blood vessels to narrow and weaken, and lead to poorer cognitive health. It’s also been shown that high blood sugar may contribute to cognitive dysfunction in Alzheimer’s patients. The process of glycation that occurs in people with high blood pressure can attack a key enzyme that’s necessary for brain health, and lead to an increased risk of Alzheimer’s and dementia. Keeping an eye on your diet, watching your weight, and taking necessary steps to become more physically fit are all fantastic ways to keep your brain healthy, happy, and functioning well. Okay, we realize that this is like asking a nurse to not drink an entire jug of coffee on a night shift – and your job is probably always going to lead to some level of stress. However, prolonged stress has been correlated with damage to the brain’s structure, connectivity, and function. Because of this, you should take whatever steps you can, to de-stress yourself after work. Leave your work at work. You shouldn’t stress about your job when you’re not there. Consider following one of our 22 tips on how nurses can de-stress – and do your best to keep your mind healthy and stress-free. Keep Your Brain Healthy During Brain Awareness Week, And Spread The Word! Don’t overlook your brain! 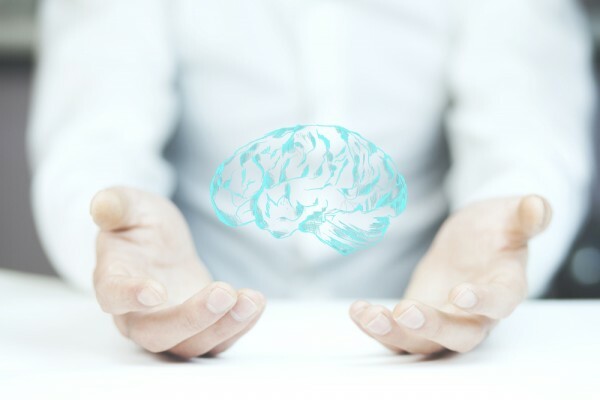 Your cognitive health is incredibly important, and by following these 5 tips, you can help keep your brain healthy, happy, and functioning at its tip-top potential. So follow these 5 tips, check out the DANA Alliance For Brain Initiatives website, and share what you’ve learned with your friends, coworkers, and loved ones.